As in other industries, the days of commercial real estate professionals waiting around for the phone to ring or making a living by being little more than well-meaning tour guides or order-takers are long gone – if they ever really existed at all. To be successful and relevant in today’s commercial real estate industry, brokers and other industry professionals have to work harder than ever to constantly educate themselves and to become that indispensable expert in their field of expertise. We have to be far more than brokers who simply show space and manage a transaction for business owners and decision-makers. We have to truly become valued real estate advisers. I’ve been privileged to have earned a living in the commercial real estate industry here in Southern Nevada for more than 30 years. I’ve also been honored to travel throughout the country to teach advanced commercial evaluation courses to many real estate and real estate-related professionals and to represent leading professional organizations such as the Commercial Alliance Las Vegas (CALV), our local Certified Commercial Investment Member (CCIM) chapter and the Society of Industrial and Office Realtors (SIOR). To this day, I still hear some of the same misconceptions about our industry and the value commercial real estate brokers bring to what can be a very complex process. Most commonly, many users of space don’t understand how we’re compensated and think it costs them too much to work with a professional. Too many tenants and buyers think they can save money by finding their own space and doing their own real estate negotiations. Actually, the landlord, or building owner, typically pays a broker’s commission, at no cost to the business owner, whether they’re buying or leasing the land, office, retail or industrial space. Such issues become even more crucial when you consider that real estate costs usually rank in the top two on the list of business expenses for most companies. Given the impact real estate can have on the bottom line, smart business owners should do all they can to negotiate what’s best for them on the sale or lease of their properties. 1. Knowledge of the local market: Unlike even the residential real estate industry, people outside the commercial real estate profession don’t usually have access to accurate data about the market. It’s not generally available to the public, especially commercial real estate listings and comparables that help us value a property. You can’t just Google it. You really have to work with a professional broker, someone who works in this industry every day. 2. Saving time: Savvy tenants and buyers know there’s truth behind the old yarn comparing time to money. Seeking, finding and securing the best available commercial real estate space in a rapidly changing metro area like ours takes a lot of time and knowledge. To get the best space in the best location at the best possible terms, you have to review and visit lots of listings, send letters of intent, arrange tours, negotiate terms, and more. All this takes time – time that busy business owners don’t (or shouldn’t) have to spare. 3. Saving money: Commercial brokers have the education, experience and expertise to negotiate the best terms in all aspects of a real estate transaction. To determine what constitutes the best possible terms, you have to look at more than just the monthly lease rate or price per square foot. You have to consider allowances and costs for tenant improvements, operating expenses, location, parking capacity and costs, quality of construction, building designs and amenities, heating and cooling system costs and capabilities, to name just a few. 4. Experience: Top commercial brokers have to be experts not just in their industry, but also in their submarkets and specialties. Brokers usually specialize in only one or very few areas and product types, such as office, industrial, retail or land. We know that most business owners rarely require such services. They may only move or expand their facilities once or twice in their career. It just isn’t something they do or think about every day. They would be wise to work with an expert. Whether your business is expanding or contracting, moving to a new location or deciding whether to buy or lease, an educated, experienced and qualified local commercial real estate broker is your best bet. 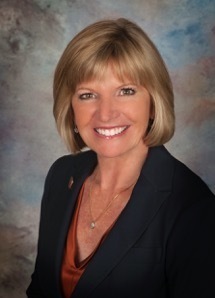 Soozi Jones Walker, SIOR, CCIM, is the 2016 president of the Commercial Alliance Las Vegas, the commercial real estate division of the Greater Las Vegas Association of Realtors. She is also the broker and president of Commercial Executives Real Estate Services in Las Vegas. For more information, visit www.calv.org.